From the 14th to the 20th November 2011 you can join us and Fairtrade Label South Africa in celebrating South Africa’s first-ever Fairtrade Week on 89.5FM or via audiostream from anywhere in the world, including from your cellphone. Bush Radio will also be flighting the features produced as part of a successful co-production by the station and the German international broadcaster; Deutsche Welle (DW) in August 2011. These programmes were made available to all radio stations in South Africa and are still available for free download. 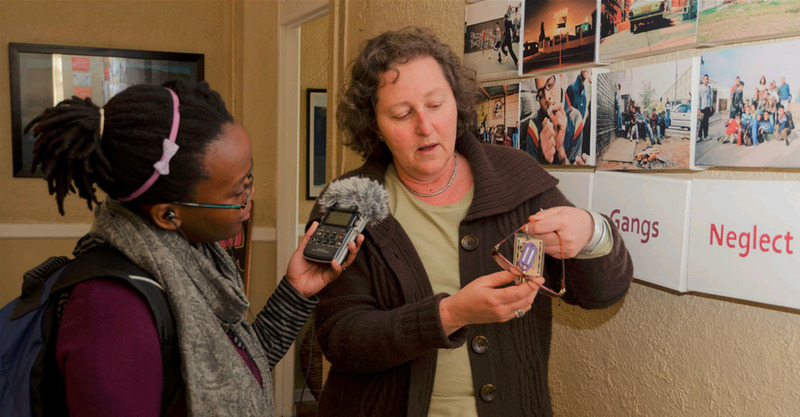 As part of our partnership with the German national broadcaster – Deutsche Welle, Bush Radio had the opportunity to connect one of it’s trainees with an experienced radio and multi-media producer for the South African part of a large international co-production on Fair Trade. From the 22nd August to 9 September 2011, newsroom trainee, Lusanda Bill was selected to join Aarni Kuppamakki from Deutsche Welle in exploring what Fair Trade means in South Africa. The completed productions are being distributed to all community radio stations in South Africa and can be downloaded via the links at the end of this post. Fair Trade was a word that I did not use in my daily vocabulary. So when I was told that the topic was Fair Trade, my confused face popped up. My initial definition of Fair Trade was “fair trading between countries”, well in the three weeks that I was doing the production I found out how totally off the mark I was. I had some fears of doing the production and many questions: Would I match up to the standard of an international production? 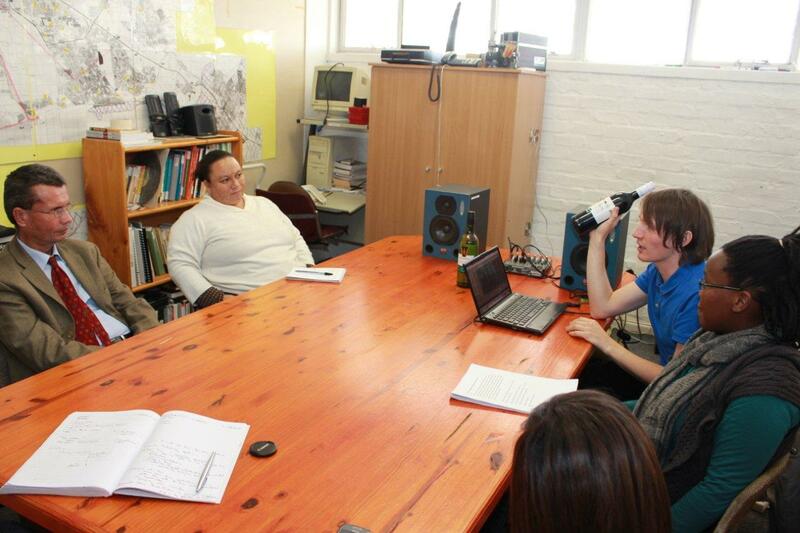 Would I understand the topic fully and be able to interpret it for Bush Radio listeners? And would I cope with the travelling and editing that would be involved? My partner for this co-production from Deutsche Welle was Aarni Kuppamakki and we had been in contact via emails, sharing our ideas about the production. My job before he came was to set up as many interviews as possible beforehand. When Aarni and I finally met it was off to work from the first day. It was great to work with someone with so much passion and experience. The best part of the whole production was the travelling – I loved what we called our “road trips”. We travelled to Stellenbosch, Citrusdal, Franschoek and Simons Town. The best experience was when Aarni and I went shark cage diving. Now shark cage diving is not a normal activity for most black people in South Africa. A funny story that had everybody in stitches, even at the Bush Radio office, is when I arrived at boat, one of the crew, who has worked on the boat for six years, took one look at me and said – in the loudest voice possible – “YHUUU sis what are you doing here, you are the first black person I have seen here in a long time!”. But you are probably still asking yourself when I will share the meaning of Fair Trade? Briefly, Fair Trade is when a premium is placed on a commodity like wine, bananas, fruit, tea and coffee. In South Africa it’s mostly wine that is Fair Trade, so for a bottle of Fair Trade wine 50 to 60 cents of the total cost would be the premium. On average a bottle of Fair Trade wine costs R39.99. The premium goes to a separate bank account and is managed by the Joint Body of elected worker representatives and farm management. The premium cannot be paid out in cash, so in most cases it is used to improve the lives of farmworkers. Let me share some interesting facts about Fair Trade: The joint bodies of Fair Trade certified farms received a total of R10,4-million in Fair Trade premiums in 2010 and most of it was used on education. South Africa is the only country that has Fair Trade Tourism. Fair Trade farms are audited annually which normally costs between R15 000 to R20 000, depending on the size of the farm. Overall the whole experience was amazing and a great learning curve. 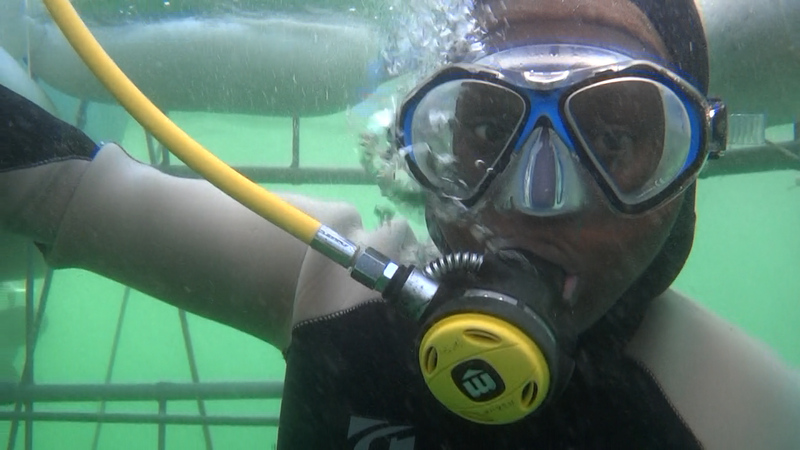 I am a better journalist and a happier one after conquering one of my fears, sharks.